From Metal Gear Solid 5 to Metal Gear: Ghost Babel, we rank every game in the Metal Gear series. It feels kind of strange to sit down and try to rank all of the Metal Gear games. Unlike The Legend of Zelda, Mario, or any of the other series we've ranked, Metal Gear is basically a finished product (at least, when it comes to the core canon). Hideo Kojima is long gone, and so is the outsized studio that he built in Southern California. Metal Gear Survive might not be that bad, but it's hard to call it a Metal Gear game when it's… well… not. Still, Metal Gear continues to have an outsized impact on the history of gaming. It helped codify stealth as a genre; continuously broke the fourth wall, and just generally tried to push the limits of the medium as much as possible. Every Metal Gear Solid game is memorable, innovative, and totally insane in its own way. In order to try and remember Metal Gear for what it was rather than what it's become, I decided to sit down and rank the entire series. As it happens, my friend and USG alum Jeremy Parish ended up doing the exact same thing for Polygon. I would encourage you to check out his list as well, because few people in the press know more about Metal Gear than he does. Jeremy's list is ultimately a bit more granular than my own. He throws in the VR Missions, which are fun enough I suppose, but kind of hard to rank in the grand scheme of things. He also separately ranks the mobile games and the Metal Gear Acid games, which I decided to rank together for reasons that I discuss below. With that, here's how I would rank one of gaming's foundational franchises, with thanks to Caty and Hirun for their assistance. Well, let's start by getting the mobile games out of the way, shall we? Neither of them are especially noteworthy, but I suppose they merit some mention in this list. We'll start with Metal Gear Solid Touch. Released around the same time as Metal Gear Solid 4, Touch has very little to do with Metal Gear. It's basically a reskinned shooting gallery—an excuse to periodically pop up and shoot familiar enemies. It doesn't feature any kind of stealth, nor much of a story, and it's weird to turn a series that puts such a premium on non-violence into a straight shoot 'em up. Basically it's a throwaway companion from the early the days of the iPhone. Indeed, Metal Gear Solid Touch isn't even available on iTunes anymore due to compatibility issues. It's probably for the best. By comparison, Metal Gear Solid Mobile is more faithful to the overall premise of the series. It includes actual sneaking and a bit of a story, which takes place between Metal Gear Solid and Metal Gear Solid 2. In its day, it was one of the better games you were going to find on the N-Gage. Unfortunately, like so many other mobile games of that era, Metal Gear Solid Mobile has proven eminently disposable. Even Solid Snake doesn't remember the events of Metal Gear Solid Mobile, as his memory is erased at the end of the game. 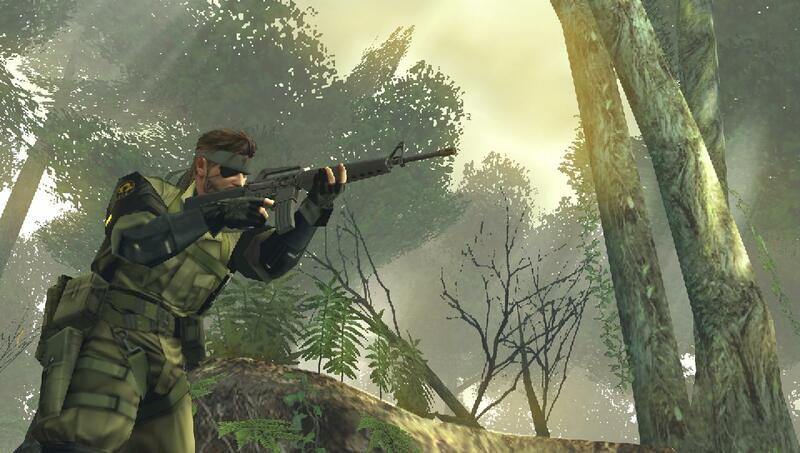 With that, both Metal Gear Solid Touch and Metal Gear Solid Mobile are sadly destined to disappear down the collective memory hole—two forgettable adaptations that might as well have never existed. 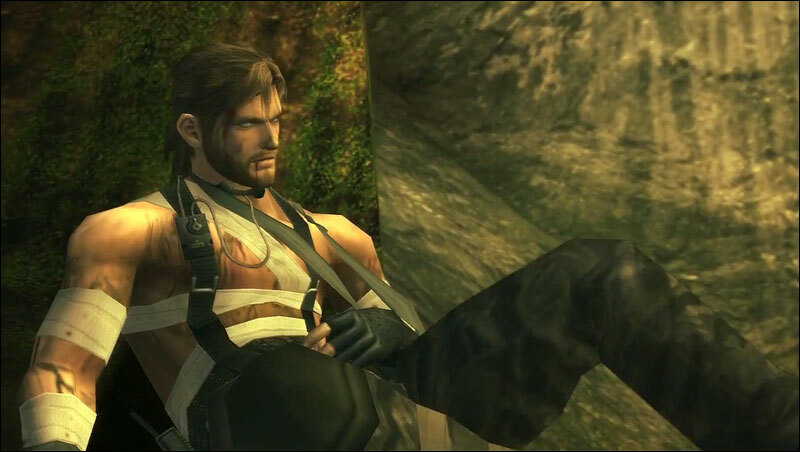 We may have Snake's Revenge to thank for every game that followed the original Metal Gear. Let that sink in for a moment. 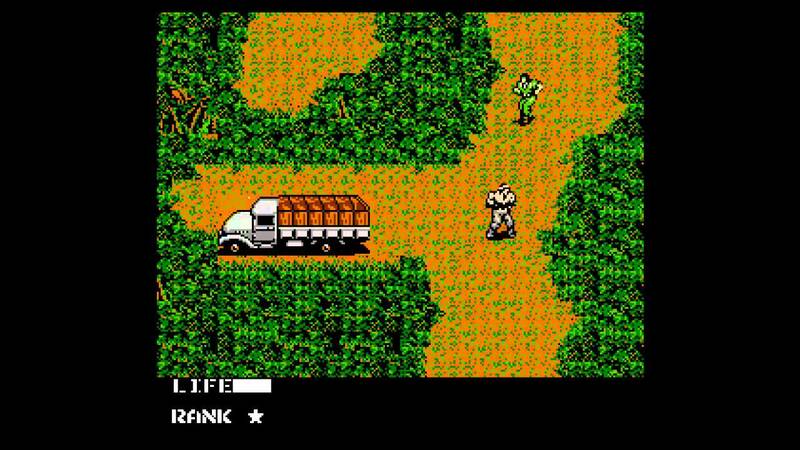 Anyway, Metal Gear: Snake's Revenge is the infamous sequel that was developed specifically for North America. In fact, Kojima seemingly didn't even know it existed until he happened to meet one of its developers, spurring him to create the much better Metal Gear 2: Solid Snake. But while Snake's Revenge gets a bad rap, it's not completely irredeemable. By the standards of the day, it's a relatively attractive game, even if it inexplicably turns Snake into a hero from the Contra series. Why does Big Boss turn into the Terminator when you fight him? Back then, we didn't care. Snake's Revenge still resembles the original in some ways, but it's much more action-oriented than its predecessor, even going so far as to include Contra-like sidescrolling sequences. These days it's more a trivia question than anything. I'd still play it over the mobile games, though. 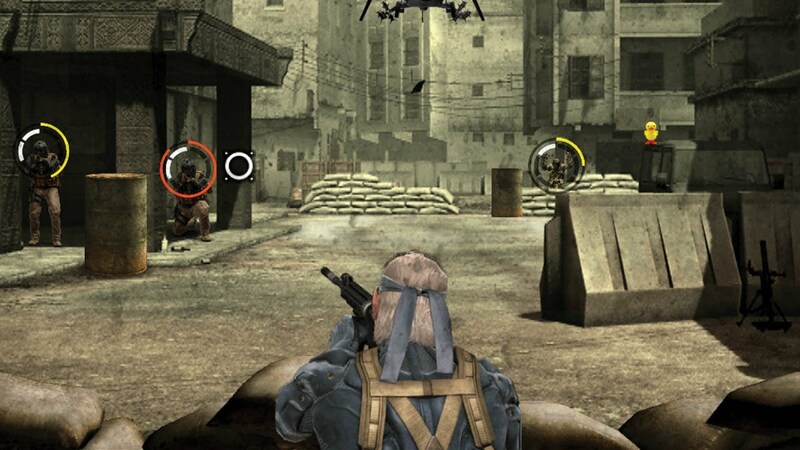 Metal Gear Solid Portable Ops and its standalone expansion are games that… well, they exist. I'll say that much. They were actually pretty neat for their time. 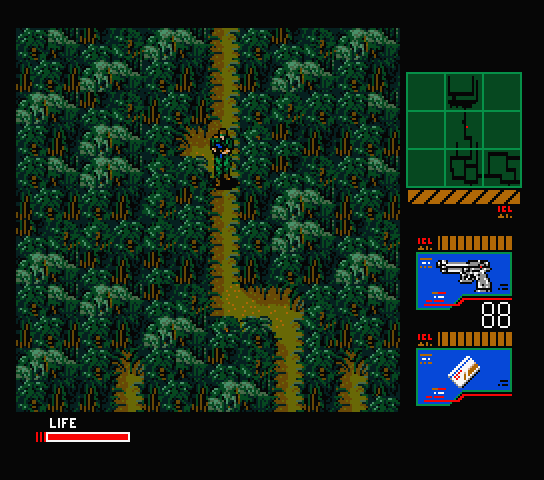 Following on from Metal Gear Acid, Portable was the first "real" Metal Gear Solid for the platform, featuring stylized cutscenes and reasonably faithful gameplay. It certainly suffers from the lack of a second analog stick, and it has a tiny inventory, but otherwise its very much Metal Gear Solid. Unfortunately, it has a number of problems in comparison to its successors. First, its main gimmick—the ability to capture and recruit additional soldiers—isn't that great. Most of the time they just serve as pack mules, and they're a real pain to drag to a capture point. Second, despite appearances by Roy Campbell and Grey Fox, it feels inconsequential because it winds up covering much the same story territory as the superior Peace Walker (indeed, Peace Walker basically washes its hands of it). Finally, the ability to train up soldiers is clearly geared toward online play, and… well… the online servers have long since been turned off. Maybe you have a friend who owns a PSP and a copy of Portable Ops who is willing to play with you in ad-hoc mode? I thought so. Portable Ops+, for its part, is a standalone expansion that leans even more heavily on online play. Sadly, time hasn't been kind to either of them. Strange as it is to write this, Metal Gear Solid: The Twin Snakes actually feels more dated than the original Metal Gear Solid these days. Billed as a complete remaster of the original PlayStation game, it was ostensibly meant to be an improvement in every way possible. But it perhaps went a little bit overboard in its zeal to build on its source material, bringing with it Matrix-like cutscenes that feel like a poor fit for the series. Sure, Metal Gear Solid is a gonzo mecha anime at its heart, but its action is nevertheless grounded in a way that is at odds with the approach of Twin Snakes. 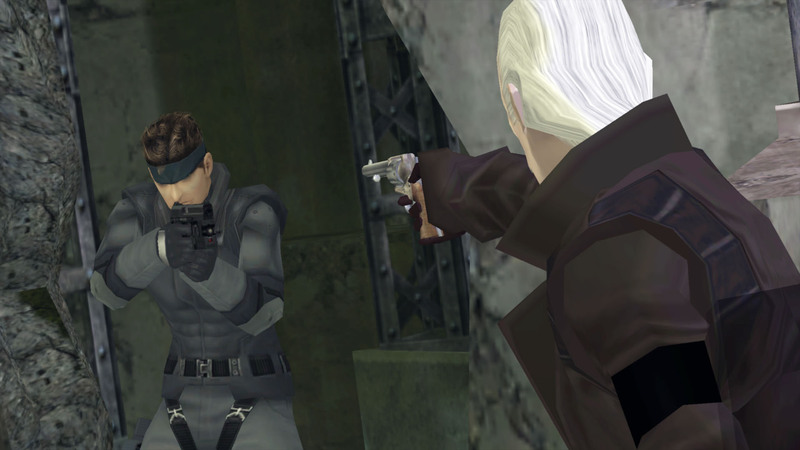 In any case, purists weren't particularly happy with Twin Snakes, taking aim at both the new cutscenes and the new voice acting. 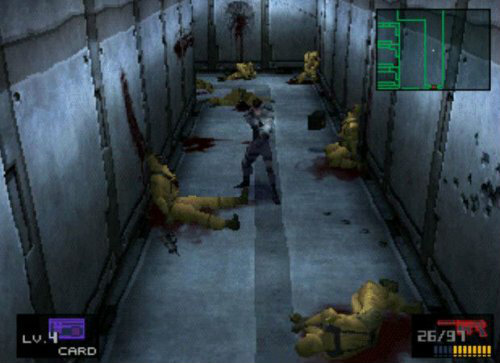 They even criticized the inclusion of Metal Gear Solid 2's first-person view, saying that it made it too easy. Twin Snakes was a technical showcase in its day, but those days are obviously long gone. Between the two, the PlayStation original is probably the better choice. At the very least, it's available on PSN, making it much easier to play. I'll admit to being a little bit at odds with Ground Zeroes. In addition to brutally killing off a major character from Peace Walker, it features one of the most gruesome sequences in the entire series. I'll cop to being squeamish on this one—I definitely had to look away while it was all going down. The rest of Ground Zeroes is very much in the service of Metal Gear Solid 5, but it's still fun to play around with all of Snake's toys while sneaking around an enemy military base. It even includes a few bonus missions for good measure. Basically, it's a premium tech demo, with the extra money from sales being used to fund development. I suppose Ground Zeroes embodies the best and the worst of Metal Gear Solid 5—both the really cool sandbox stealth segments and the often… uh… questionable storytelling. It doesn't need to be its own game, but I guess it's essential for setting up what's to come. But even if I wind up revisiting The Phantom Pain again, I doubt I'll include Ground Zeroes in my playthrough. Once was enough. 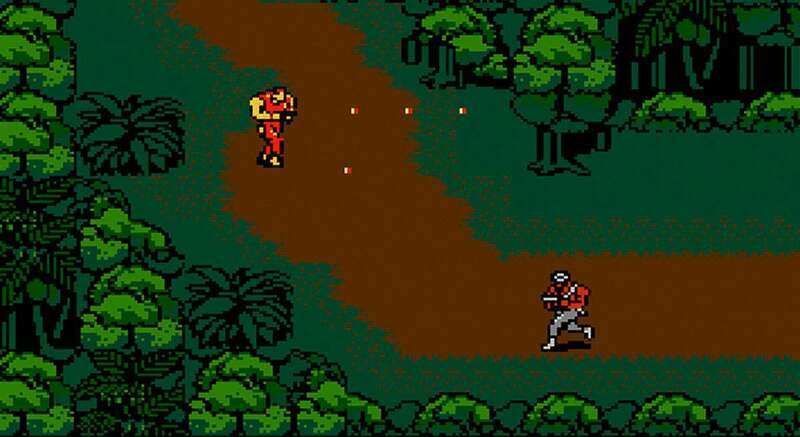 We really didn't know what we were missing when Metal Gear arrived on the NES. It was very much a flawed port of the MSX original—enough that it's worth highlighting as a separate entity. It changed up the boss battles, rebalanced the mechanics, and included a terrible localization. It even cut the eponymous Metal Gear, replacing it with a computer. And yet it managed to resonate in the United States. No one knew that there was a vastly superior version waiting for us Japan, so we accepted its stealth action at face value. And for the time it was pretty cool! By 8-bit standards it was a sprawling adventure with multiple gadgets, gunplay, and interesting bosses. It was certainly a cut above a lot of the dreck that could be found on the NES at that time. It even earned itself its very own region-specific sequel, which I described above. But with the MSX version having long since become available in North America, the NES port has quietly faded away. And that's perhaps as it should be. Metal Gear, of course, is the game that started it all. I played it for the first time on the occasion of its anniversary, and I couldn't help being struck by all the ways it resembled its more advanced successors. Even then Hideo Kojima was straining against the boundaries of the interactive medium. Unlike the NES version, the MSX original actually includes a Metal Gear, though it mostly stands around while you plant bombs. It also includes an additional alert phase for enemy soldiers, making it somewhat harder to avoid their attention. On the other hand, enemies don't suddenly respawn if you use your binoculars, and they're nice enough to drop rations and ammo as well. Alas, it's more a curiosity than anything these days—a sort of prototype for what was to come. It's canonical, and completionists will certainly enjoy it, but its ambition vastly outstrips its technical resources. And god is it hard. Really, really hard. But you have to give some credit to the game that started it all. And whether it holds up or not, Metal Gear is that game. 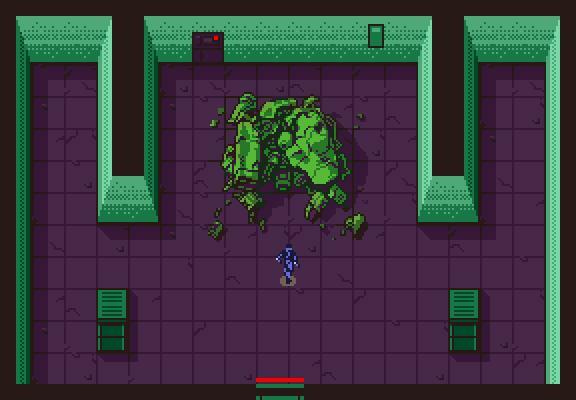 First thing's first: Metal Gear Acid 2 is better than the original Metal Gear Acid. It's faster, it's more colorful (almost too colorful, actually), and it includes a number of gameplay fixes. It's the one to play if you have a PSP and you're desperately curious. I actually like the first game's story a bit better, though, if only because it's much less generic. That doesn't mean it's good, of course, but it is more fun to watch a senator tormented by psychotic dolls. Anyway, Metal Gear Acid and its sequel are of course the random tactical RPGs that launched at roughly the same time as the PSP. Neither have anything to do with the core series, and their stories are entirely disposable in any case, but they at least stand out for trying something new. The sequel also launches Snake out of a Metal Gear's railgun in one of the better sequences in the entire series. Both are based around the concept of drawing cards to move Snake along a tactical grid. They're required for everything, and the pace can sometimes slow down to a crawl as you hunt for the card you need. Seriously, when I say they're needed for everything, I mean it: movement, combat, the works. And if you don't have a required card, you're kind of stuck. Still, the Metal Gear Acid games have some merit. They're unique and thus less disposable than Portable Ops; they hold up better than the original MSX and NES games, and they aren't middling remakes. On the other hand, they aren't so interesting that they're worth splitting into their own entries. That's pretty much Metal Gear Acid in a nutshell. Known as simply Metal Gear Solid in the U.S., Ghost Babel is an oddity for the series—a portable spinoff that picks up after the events of the original Metal Gear Solid but otherwise has little to do with the later continuity. It features Colonel Roy Campbell pulling Solid Snake out of retirement and sending him to fight a new enemy. There he finds the Black Chamber, a group of mercenaries who were gunned down and left for dead. But in true Metal Gear fashion, there are other villains pulling the strings from behind the scenes. Metal Gear: Ghost Babel is kind of tragic in a way. It's actually really impressive for a Game Boy Color game, taking the tried-and-true graphics of Metal Gear 2 and adding attractive anime-style cutscenes on top of them. It still plays much like its 8-bit predecessors, but Snake can run in all eight directions. And it comes closer to matching the look and feel of Metal Gear Solid, particularly the codec sequences, than you might expect. But it's ultimately incomplete. It leaves several threads dangling that are never resolved, and the result is a canonical dead end that is primarily relegated to the status of curiosity. As an adaptation for the Game Boy Color, Metal Gear: Ghost Babel is better than it has any right to be. But in the end, the franchise wound up leaving it behind. If you want to know why Metal Gear Solid had such an easy time transitioning to 3D, look no further than Metal Gear 2. Metal Gear 2 in many ways is Metal Gear Solid. They have many of the same story beats and rely on similar mechanics. Metal Gear 2 pushed the envelope of what 8-bit games could do, making the transition to 3D feel like a kind of liberation. It was ahead of its time. Hideo Kojima supposedly decided to make Metal Gear 2 in reaction to Snake's Revenge, and it was a top to bottom overhaul. It included improvements to the enemy A.I., the ability to crawl, a radar, and a much deeper storyline, giving it a much more modern feel than its predecessor (though it could still be very difficult). It also represented Big Boss with a portrait of Sean Connery wearing an eyepatch, because why not. Many elements of Metal Gear Solid are recognizable in Metal Gear 2, including the battle with Grey Fox, the Metal Gear, and the Hind D (which actually flies this time around). Indeed, Kojima has a tendency to go back to the well quite a bit with this series. While obviously not as complex as his later work, the outlines of what would become Metal Gear Solid were clearly visible in Metal Gear 2. If you want to get back to the roots of the series, check out Metal Gear 2 in the Metal Gear Solid HD Collection. It's worth it. Is it unfair to put Metal Gear Solid 4 this far down? Yes, perhaps. But Metal Gear Solid 4 was kind of a mess—a flawed bit of fan service that tried to resolve every dangling thread from Metal Gear Solid 2 and 3 and wound up going off the rails in the process. Like the second game in the series, Metal Gear Solid 4 was the subject of massive hype in the run-up to its launch. It was pegged as the savior of the PlayStation 3, which was struggling in comparison to the Xbox 360. Naturally, it received a huge amount of scrutiny as a result, magnifying its weaknesses and downplaying its relative strengths. To be sure, Metal Gear Solid 4 was a beautiful game—one of the last generation's best. It also brought with it a lot of cool little touches, like adaptive camouflage that would change to match your surroundings, as well as customizable gun attachments. But it groaned under the weight of all the lore from over the years, ultimately resorting to nanomachines and hypnotherapy for most of the answers to its mysteries. It also lost a good deal of its momentum in the second half as it returned to familiar sites like Shadow Moses Island. 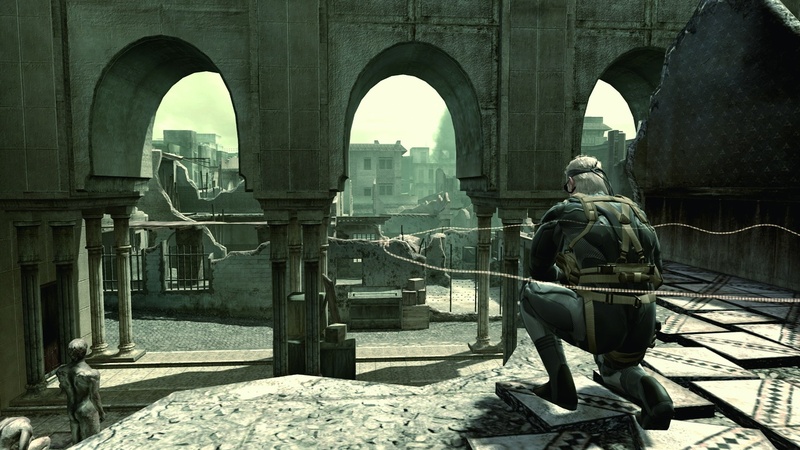 Notably, Metal Gear Solid 4 was undercut by the creation of a sequel, which tried to tie up many of the loose threads left by the original grand finale. In the final assessment, Metal Gear Solid 4 is better than its reputation. But Metal Gear Solid is tighter; Metal Gear Solid 2 is smarter; Metal Gear Solid 5 is more ambitious, and Metal Gear Solid 3… well, you get the picture. Not a terrible game by any means, but definitely the weakest of the numbered Metal Gear Solids. Where does one even start with Metal Gear Solid 2? In the wake of the massively successful Metal Gear Solid, Metal Gear Solid 2 was one of the most anticipated games of all time. It burst into the public consciousness on the back of a graphically stunning trailer and an even better demo. Little did we know what Hideo Kojima and his staff actually had in store—a totally different protagonist and a multitude of twists that would leave its audience reeling. Also, it had Otacon admitting to an affair with his stepmother. Whee! Naturally, Metal Gear Solid 2 remains incredibly divisive to this day. Its lengthy ending was enough to make our own Mike Williams swear off the series to this day. But others are fascinated by the often messy way in which it turns the focus back on players themselves. Some even credit it for forseeing the rise of social media and the manipulation of information. That's some pretty heady stuff for a video game. And yet, as our friend Jeremy Parish pointed out in his original retrospective, so much of Metal Gear Solid 2 is just reheated Metal Gear Solid, which in turn leans heavily on what was established back in Metal Gear 2 for the MSX. It's an endlessly frustrating creative work, which perhaps best encapsulates the Metal Gear franchise as a whole. But as I wrote about Xenogears, we can't help but be drawn to messy but ambitious pieces of media. And that has proven to be the case with the gradual rehabilitation of Metal Gear Solid 2. It's far from the best entry in the series, but it may ultimately be the most interesting. Metal Gear Rising: Revengeance shouldn't have been this good. In going through development hell, swapping teams and studios, and changing design philosophies, Metal Gear Rising went from a more typical stealth-leaning action game to something else entirely: a PlatinumGames-helmed pure character action game, complete with goofy antics and scenarios. Of course, in the process it never loses sight of what makes the Metal Gear Solid series so special: convoluted political nonsense. The game pins you as Raiden, the surprise hero of Metal Gear Solid 2. 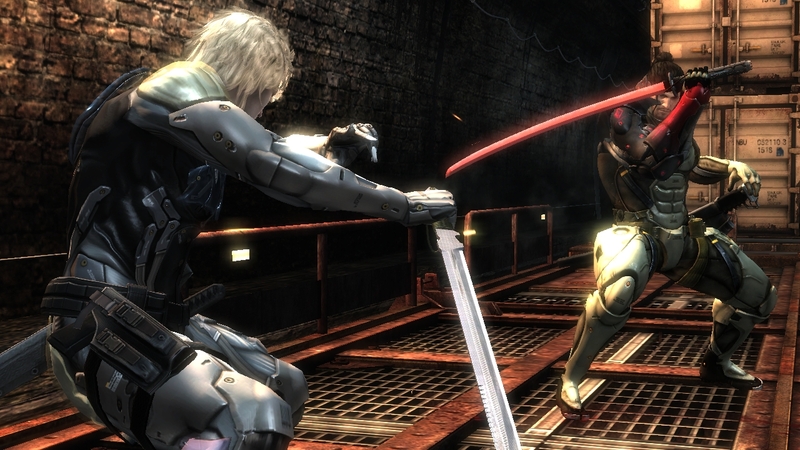 In Metal Gear Rising, Raiden is a full-blown cyborg, complete with a katana to slice everything in sight with. Unlike other Metal Gear games, Metal Gear Rising has no stealth to it: only hacking and slashing the world. 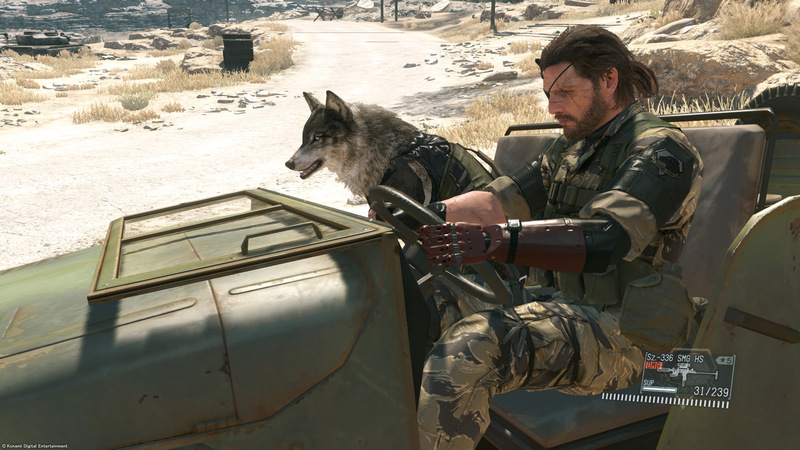 Both The Phantom Pain and Ground Zeroes are viewed through the lens of Kojima’s firing from Konami after three decades with the company–cutting short development of the former game and leaving the story of Diamond Dogs somewhat unfinished. But look past the ambiguous ending of The Phantom Pain and the enigmatic 'Chapter 3,' and there’s a brilliant game underneath. Metal Gear Solid 5 is the pinnacle of the system game, featuring weird and wacky features like having your horse defecate in the middle of a road in order to crash a car and extract a target. It's a game that welcomes experimentation with open arms. Yes, it’s a shame that Metal Gear Solid 5: The Phantom Pain was released with an unfinished story, but it still demonstrated Kojima’s ability to push the boundaries of directing in video games. 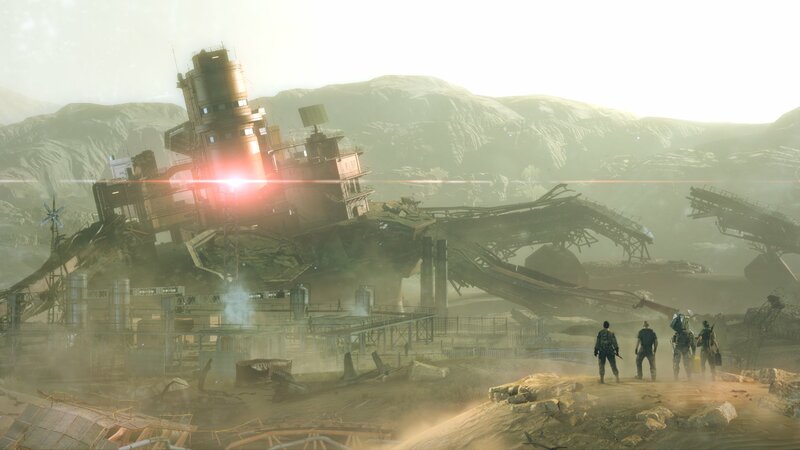 Every cutscene in The Phantom Pain and Ground Zeroes is filmed in one continuous shot, from the explosive destruction of Mother Base in Ground Zeroes, all the way to Eli’s escape from Mother Base in Sahelanthropus. 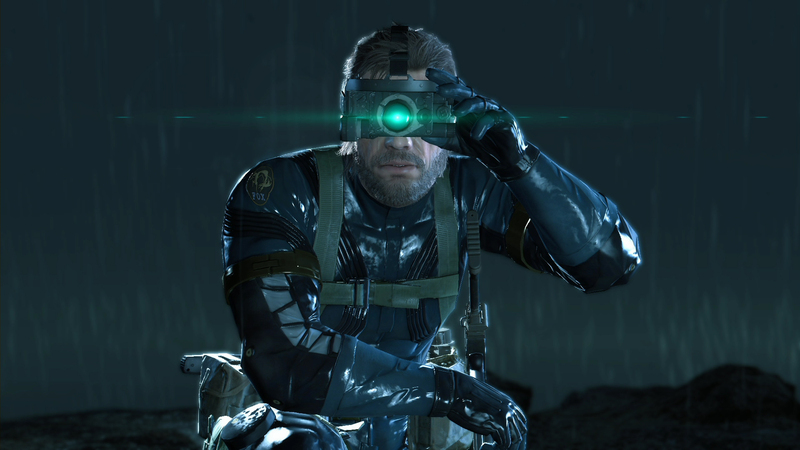 Yes, Metal Gear Solid 5 is basically the bigger, better version of Metal Gear Solid: Peace Walker. But Peace Walker has one advantage over Metal Gear Solid 5 that shouldn't be discounted: A superior story. 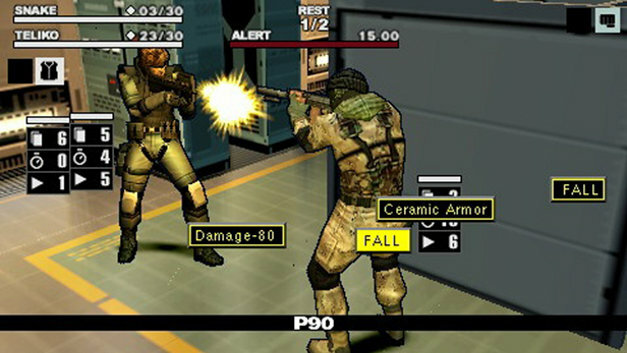 Conceived as an ad-hoc multiplayer experience for PSP, Peace Walker was Konami's answer to the raging popularity of Monster Hunter. It was limited by the capabilities and control layout of the PSP, but its bite-sized stealth missions and co-op boss battles were nevertheless very enjoyable. Plus, it shed additional light on arguably the most compelling character in the MGS universe: Big Boss. 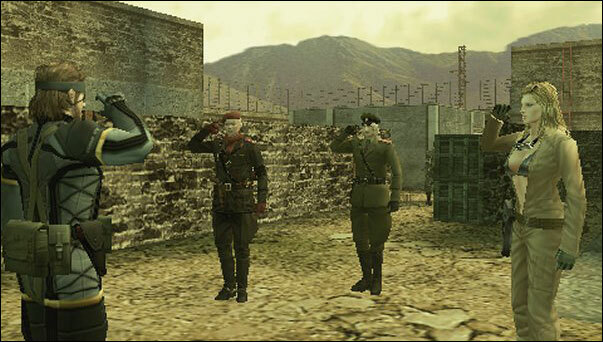 Metal Gear Solid: Peace Walker eventually gained full expression on the PlayStation 3 and Xbox 360 with an HD remake that featured vastly improved graphics and controls. With that, it became an effective bridge between Metal Gear Solid 3 and Metal Gear Solid 5. As in Portable Ops, Peace Walker revolves around building a private army. In a strange twist, even Hideo Kojima is available for recruitment. But Peace Walker includes a number of improvements, most notably a recovery system that allows them to be picked up from anywhere. No more lugging unconscious soldiers to an extraction point. 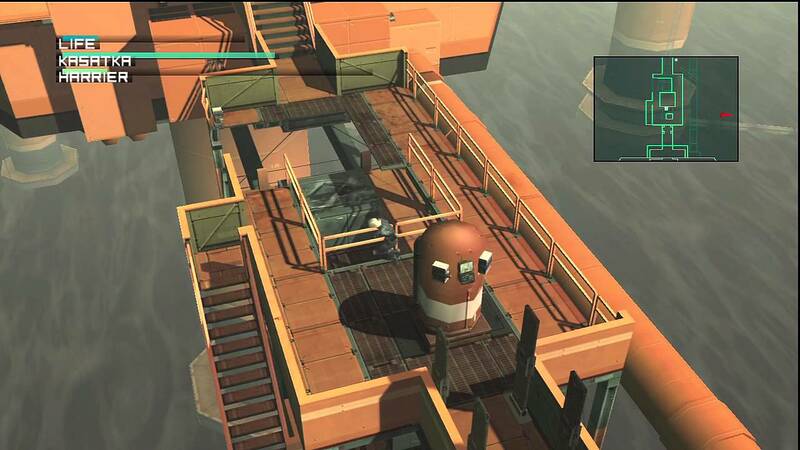 Plus it includes a customizable Mother Base, and even lets you build your own Metal Gear. Despite being built for the handheld PSP, Peace Walker feels like a full-blooded Metal Gear Solid game in a way that Portable Ops simply doesn't, which is in part thanks to its outstanding PS3 remaster. Not only is it a lot of fun to play with friends, it's an essential chapter in the story of Big Boss. And when it comes down to it, I'd rather revisit Peace Walker than the ambitious but disjointed Metal Gear Solid 5. Arguably the greatest PlayStation 1 game ever made, Metal Gear Solid is one of only a handful of games from the platform to truly stand the test of time. Sure, the textures are muddled, the faces are featureless, and the controls are outdated, but it's easy to understand why Metal Gear Solid was revolutionary when it came out back in 1998. Simply put, no game from that era was able to match the grand scope it brought to its setpieces and its storytelling, which set the standard for blockbuster games for years to come. Metal Gear Solid was a dramatic upgrade for the series. It confidently stepped forward into 3D at a time when other classic franchises faltered, at last giving full expression to the glimpses of greatness offered by Metal Gear 2. Its sprawling story matched the best efforts of Square Enix, introducing gaming audiences to concepts like gene therapy. And it gave us one of the best villains in video game history: Liquid Snake. It's rarely easy for pioneers to remain relevant in the gaming space, especially pioneers with as many sequels as Metal Gear Solid. But Metal Gear Solid holds up because it tells a surprisingly concise but compelling story (at least by Metal Gear standards), features memorable characters, and plays around with the fourth wall in ways that still resonate today. Indeed, everyone remembers the moment Psycho Mantis read their memory card and let them know that they're a fan of Castlevania: Symphony of the Night. Along with The Legend of Zelda: Ocarina of Time and Final Fantasy VII, Metal Gear Solid is one of the pillars of the 32-bit era. It made Metal Gear Solid what it is today, and its greatness shines through even its outdated graphics. But of course, then there's Metal Gear Solid 3. We ranked Metal Gear Solid 3 as #2 on our 15 Best Games Since 2000 list, and for good reason: it's one of the best games ever made. Well, the Subsistence version is, anyway, since it both offers control over the camera (hallelujah) and includes the MSX versions of both Metal Gear and Metal Gear 2—neither of which had been released in North America at the time. Following on from the massively hyped but divisive Metal Gear Solid 2, Metal Gear Solid 3 flew under the radar a bit more than its predecessor, but eventually gained acclaim for having one of the best stories in the series. It introduces the "real" Boss—a mentor to the original Snake who unexpectedly goes rogue, throwing him into a Bond-like callback to Cold War spy films. The mystery behind The Boss' motivations for defection drives much of the story; and by the end, it feels like her tale as much as Snake's. Meanwhile, the run up to the final confrontation with The Boss includes some of the best battles in the series, including a memorable sniper competition with a boss who can literally die of old age, and a spectre who will haunt you with all of the lives you've taken throughout the game. I know I was supposed to feel bad about all the corpses I had created, but I still couldn't help feeling a perverse sense of pride in seeing the helicopter pilot I had shot down with a rocket launcher among the wandering spirits. It all culminates in a one-on-one confrontation between The Boss and Snake that remains one of the most riveting fights in gaming history. Its visual beauty, emotional stakes, and conclusion makes for a final boss battle that arguably hasn't been matched since. That alone is enough to push Metal Gear Solid 3 to the top of this list while cementing its place in the video game pantheon. If you haven't played it yet, you owe it to yourself to dig up the HD collection on PlayStation 3 and Xbox 360 (or Vita!). It's an essential. Tagged with Feature,	Konami,	Retro,	Retro Rankings. Kojima takes a break from making Death Stranding to make a surprise cameo.